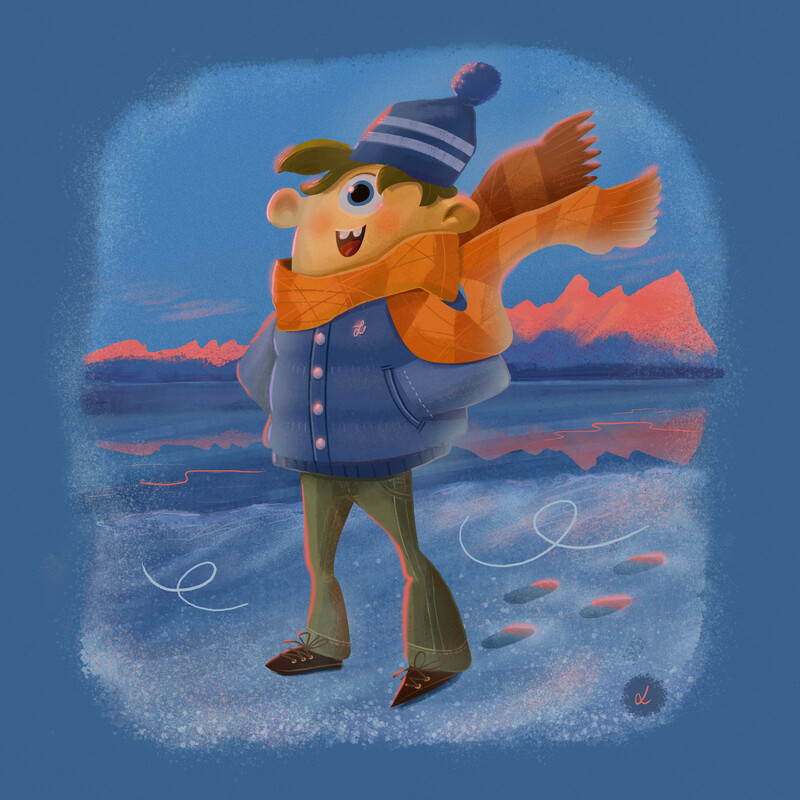 I am very happy to have completed a winter illustration entirely in Affinity Designer using a Wacom Cintiq Pro 13. I have been experimenting with Designer in my spare time in order to try out a few ideas combining vectors with texture brushes. This one was done in designer 1.5 and I have to say it has treated me very well as I progressed towards making the piece work as a whole. I do quite like clean shapes with a painterly/texured feel to them, and so with this one I feel that I am moving in the right direction at last. The project was sketched out from scratch and colour completed in Designer with a resolution of 5500x5500px. I have been using Designer off and on for about 2 years now for illustration work specifically and loving the experience so far. I am getting into the painting aspect more and more and really enjoy the ease of the vector to pixel to vector workflow. Checkout my behance link below for a bunch of illo work done in Designer. I look forward to seeing more of your work. Cheers! This looks amazing! I've been using affinity in my spare time for about 8 months. It's an extremely easy software to get to grips with and personally I think its easily on par PS. It doesn't look like we'll be asked to do that in the near future! The Mac apps have been out for more than two years, and we're still only at version 1.5, with (at least) version 1.6 still to come before a paid-for version 2. Once the Windows apps are at least a year old, it is then I would expect to see version 2 products/upgrades being on the market. There's still version 1 of Affinity Publisher to come, of course, and by the time that's available in a retail version the other Windows apps will already be about a year old. Thanks Leif for your compliments. Designer has been a lot of fun to work in and it's only going to get better from here. I know what you mean about some of the other vector apps. Really great for some uses and not for others. Mixing both personas in Designer really speeds up the workflow and allows you to explore and create vs getting mired in an overly technical process. I'm just glad to have found out about Affinity when I did! Yeah, I used to use Paint Shop Pro and mix vectors with raster layers (but Paint Shop Pro didn't really do vectors properly), so happy that I jumped on board the early days of Designer and learned as the program developed. It's gone above and beyond my expectations and has really enhanced my work flow, and I like to think, my creature creations. Look forward to seeing more from you leifm. I love this kind of illustration.